In this post we examine 5 of the best-selling acrylic sheets online. These Polymethyl methacrylate (PMMA) panels are also known as acrylic or acrylic glass (Source). This specialized plastic paneling is prized as a lightweight and shatter-resistant alternative to glass. You can even get it cut to size from your local Home Depot, whether you're customizing a kitchen backsplash or outfitting your new aquarium. Acrylic is derived from acrylic acid, an organic compound that is produced from propylene, a product of ethylene and gasoline. This plastic is pressed into acrylic sheets for use – usually – in the place of glass (Source). Acrylic is popular replacement for glass because it is particularly strong and durable. So, it’s less likely to shatter than glass. However, it is also extremely lightweight. Anyone who has ever had to move any large piece of glass can attest how much easier it is to transport acrylic (Source). Finally, the cost to make colored and translucent acrylic sheets is far lower than the production cost of glass. This means that the price is lower for these acrylic sheets short term and long term since they won’t need to be replaced as quickly as glass or wood (Source). One of the best tips that current users give to new customers is to remember that you can use colored acrylic sheets as well as clear plexiglass paneling for extra flair. Many also suggest that you be ready to sand the edges a bit if necessary as not all acrylic sheets have edges that are perfectly smooth. Another important thing to remember is that not all acrylic sheets are the same. This rule still stands in effect when we talk about the 5 acrylic sheet options that we are looking at today. So, what makes them so different? The first difference that these acrylic sheets have is color. The Grafix Craft Plastic, Source One LLC Acrylic Plexiglass, and Plastics 2000 Lexan Sheet are all clear acrylic sheets. The Small Parts Cast Acrylic Sheet is black but it is translucent – so you can see through it a bit. ach of these options are also available in various sizes and thicknesses. The Source One LLC option also allows you to choose an “unbreakable” option. This adds extra durability to your acrylic sheets so you don’t have to worry! The Grafix Clear Craft Plastic is a good option if you want to create your own embellishments.Users like the quality of the sheet, but some do complain about opaqueness. This product is a medium weight .007’’ thick 12’’ by 12’’clear craft plastic. Its crystal clear surface allows you to embellish the item with your favorite permanent markers, acrylic paint, rubber stamps, glitter, eyelets, rub-ons, beads and ribbons. The sheet is easily cut with decorative scissors, craft knives and many die cutting machines. It is available in 4 sizes and in packs of 4 and 25.This item seems like a good choice if you want to make handmade cards, window effects, gift tags and more. In general, users are happy with the Grafix 0.007 Thick Acrylic Sheet and find it to be great for making stencils. They state that it is lightweight yet tough. Many users say that it is a great thick material for crafting projects. However, some buyers complain that the item is not clear but creamy white. One purchaser states that the product is too thick to be cut with a cameo. If you’re looking for acrylic sheets, you might want to consider these offered by Source One. Users like the high-quality of this acrylic sheet, but some do complain about incorrect sizing. 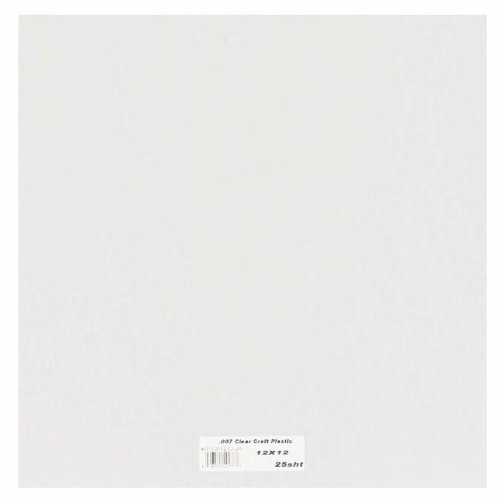 This product is a 12’’ x 12’’, 1/8’’ thick acrylic Plexiglas sheet. The item comes with protective masking. You can choose your favorite color out of the offered nine. This item could be a solid choice if you need a quality material for various DIY projects. In general, users have a favorable opinion of the Source One Plexiglass Sheet. They agree that it is a high-quality acrylic which is very usable for laser cutting and relatively easy to cut on the table saw.Most of the users share that it is crystal clear and scratch free. However, some buyers complain that the item arrived scratched. Others complain of inaccurate sizing and the product being thicker than advertised. There are many ways that acrylic sheets are used. They are often used architecturally instead of glass, especially in commercial and residential buildings such as businesses, stores, common houses, and even greenhouses (Source). Use it for a kitchen backsplash – acrylic sheets are extremely easy to clean and don’t require any grout, so it’ll be attractive and simple. Replace glass in cabinets with clear plexiglass sheets to protect your cabinets from falling dishes and damage. As picture frames – this way, when your pictures fall, you don’t have any issues with shattered glass. Furniture – replacing the glass in your coffee table with acrylic sheets is a good way to make sure it’s more durable and lighter when you need to move it. Fish tank owners often use it with their aquariums as a glass replacement. Thanks to its durability, many medical devices also opt to use clear plexiglass sheets instead of glass in their construction. The Small Parts Cast Acrylic Sheet is a solid option if you need a lightweight, rigid plastic that resists breakage better than glass and offers excellent weather resistance.Users like the quality of this sheet, but many complain of receiving opaque item. This product is a cast acrylic sheet which is a type of plastic that has been engineered to achieve specific properties. The most notable are its low weight, corrosion resistance, optical transparency similar to glass and typically good thermal and electrical insulating properties. This acrylic sheet, which comes in 14 colors,might be a solid choice if similar-to-glass optical transparency, low-friction surface and exceptional impact resistance are the features you’re looking for in a material. 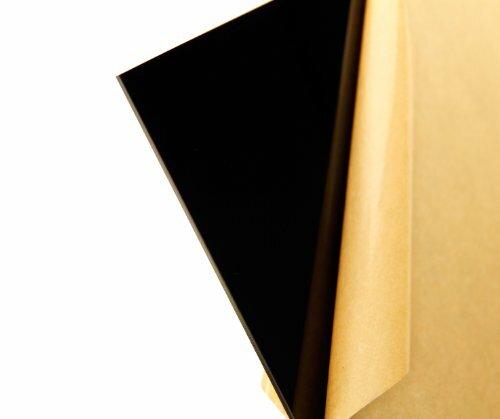 In general, users have a favorable opinion of the Small Parts Translucent Black Acrylic Sheet and they agree that it is very sturdy. They appreciate its highly reflective and flawless surface. As one satisfied user says, the item is of good quality, easy to bend, drill and cut on the table saw with a panel blade. However, many buyers complain of receiving opaque instead of translucent item. Another frequent complaint regards the incorrect sizing. Some users also state that the product is not good for laser cutting. 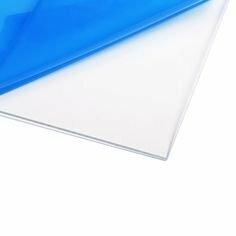 If you are looking for a top-rated acrylic sheet, you might want to consider the Plastics 2000 Lexan Sheet. 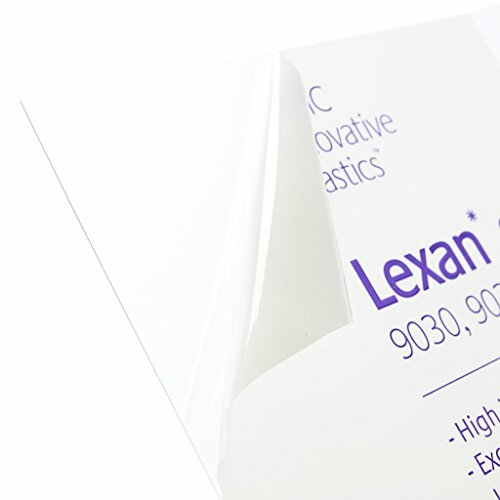 Users like the sturdiness of this Lexan sheet, but some do complain about incorrect sizing. This product is a polycarbonate sheet which can be used for secondary glazing for economical protection against breakage or intrusion. A polycarbonate sheet may be decorated using a wide variety of modern techniques such as painting and screen printing. This thermo-formable sheet could be a good choice if you need a material that can undergo large plastic deformations, i.e. to be cut, sawn, drilled and milled by using standard workshop equipment without the risk of cracking and breakage. In general, buyers are pleased with the Plastics 2000 Polycarbonate Acrylic Sheet. They appreciate that it is clear and strong yet flexible. Users agree that the item is easy to work with and cut with a razor. They recommend it for anyone who needs a thin, sturdy transparent protective layer. However, there are some complaints. The most common complaint is that the dimensions may not be 100% accurate. Another one is the receipt of a wrong size Lexan sheet. The AbleDIY Black Cast Acrylic Sheet is a solid option if you need a lightweight and impact-resistance plastic material. Users like the sturdiness of this acrylic sheet, but some complain about receiving a scratched or cracked item. This product is a premium cast acrylic sheet with the hardness similar to aluminum. The material is easy to fabricate and therefore very useful for various creative DIY projects. The sheet measures 12’’ x 12’’ and is 1/8’’ thick. If you want an acrylic sheet with a reflective/glossy finish on both sides, this item might be a solid option. In general, users have a positive opinion of the AbleDIY Opaque Acrylic Sheet and they agree that it is sturdy and good for laser-related projects. They conclude that it is perfect for photography since it’s very reflective. However, some buyers complain that the item arrived scratched or with a crack. In closing, I thought it advisable to review some additional benefits of acrylic glass sheets. Many buyers source it from Home Depot and Lowes and get it cut to size after consulting an acrylic glass size chart. Polymath methacrylate acrylic, also known as PMMA, is one of the more popular forms because of its versatility, how strong it is, how clear it is and its ability to withstand harsh weather conditions. If you're interested, you can even purchase colored, opaque and transparent polymer acrylic sheets for added design impact. Another thing many buyers are unaware of, a lot of manufacturers apply different coatings as performance upgrades to make the acrylic have glare-reducing, anti-fogging, and scratch resisting properties. 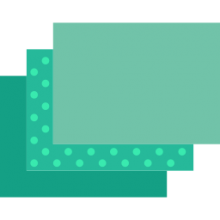 Another benefit is because of this thermoplasticity it will soften under high heat temperatures so that it can be molded into different shapes. This is one of the primary physical benefits of using acrylic- the others include its durability, weather resistance, its resistance to yellowing associated with aging, and how easy it is to form into different molded shapes and designs. Indeed, it has many home improvement and home decor applications- whether you are looking at it as a DIY resident performing home construction or for commercial purposes. People like it because it is shatter-resistant and durable and is easily installed and can function as a glass replacement. Cruising home decor sites we see that often it is used as a kitchen backsplash that doesn't require grouting and is a more sanitary and clean option and then tiling, they say. Some home decor professionals employ it to replace glass and cabinet doors- the sheeting can be customized so that it has different finishes and colors. If you have shelving you want to give a special and unique look try using acrylic sheets in lieu of glass or plywood. The plastic sheeting won't shatter like glass and will be more durable than rot-prone wood. We've even seen buyers who prioritize it for how cheap it is, how easy it is to cut to different sizes, how easily molded it is, create end tables, coffee tables and even bed frames from it. This type of acrylic glass will go under different names including Lucite, Plexiglass and Perspex- so be on the lookout for those names when shopping online.